If you grew up in a region known more for its sun than its snow, chances are that many events that are part of the quadrennial Winter Games just don’t make a lot of sense to you. Skiing, snowboarding, figure skating, hockey – we can all wrap our heads around those. But skeleton? Curling? Who came up with such sports, and how exactly are they athletic? 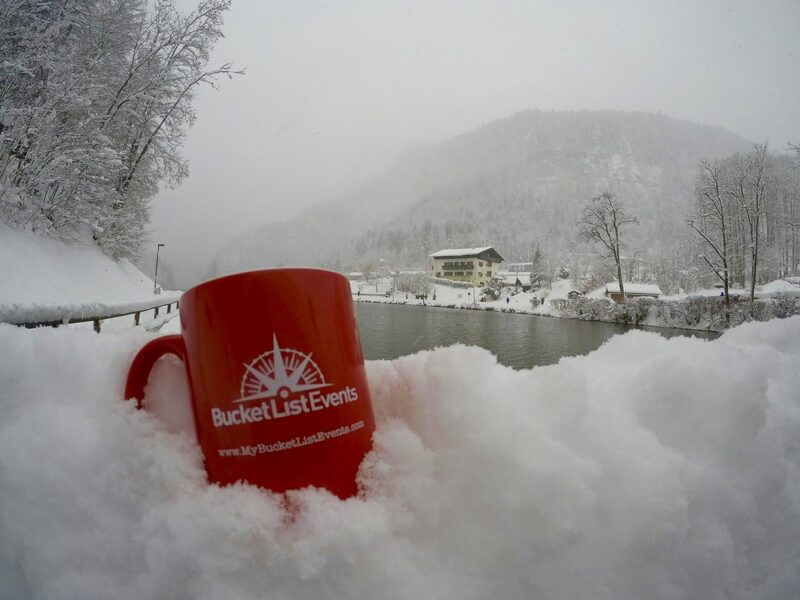 To get you ramped up to enjoy the full spectrum of events at the 2018 Winter Games in PyeongChang, the Bucket List Events team is here to explain the ins-and-outs of six of the most unique winter sports. The biathlon is a cross-country skiing race combined with rifle-shooting. If that sounds like something out of a James Bond film, that’s probably because both The Spy Who Loved Me and On Her Majesty’s Secret Service feature chase scenes reminiscent of this sport. Biathlon was born out of Scandinavia, where the sport was invented as an alternate exercise course for military training. The sport first joined the official Winter Games roster in 1924, but has enjoyed a consistent slot since the 1960 Games in Squaw Valley. The 1992 Games in Albertville were the first to feature a women’s competition as well as a men’s. The 2006 Games in Turin even featured an event where men and women competed side-by-side. The military origins of this sport are immediately clear: biathlon is a huge test of endurance, form, and accuracy. 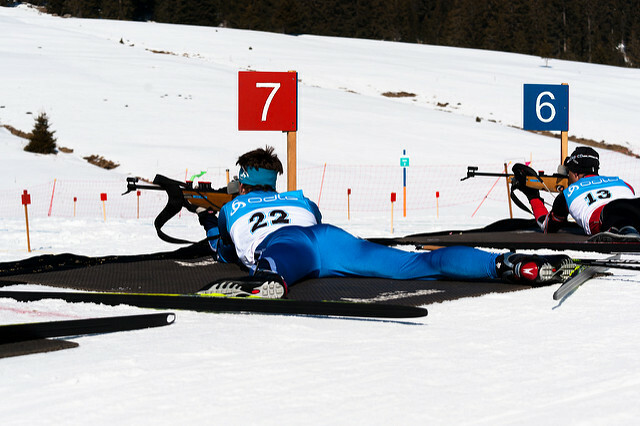 Participants ski a course with their rifles on their back, pausing at intermittent shooting stations where they need to load their rifles and hit a target five times before resuming the race. 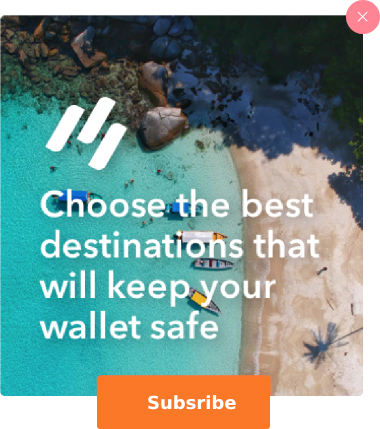 It’s not surprising that countries that are known for harsh winters and dominating the Winter Games are in the top model earning spots for this event. Germany has won the most medals (45), beating out Norway (35), Russia (24), and France (20). These medal counts are all accurate as of the 2014 Winter Games in Sochi. Imagine laying atop a sled and plummeting down a steep, icy hill at 90mph, with only a helmet for protection. Certainly one of the most adrenaline-pumping events at the Winter Games, the Luge is also among the most dangerous of all winter sports. Athletes are strapped into a small sled that is generally no longer than the distance between their mid-back and knees. In the case of doubles, one athlete lays on top of the other. They lay flat and rigid to achieve optimal aerodynamics, adjusting their body weight ever so slightly to steer the sled. Luge courses generally begin with a steep hill before they level out slightly and begin to wind and curve. Hitting the walls of the course can slow a luger down, or even injure them, and results in a penalty that adds to their run time. The term luge comes from a Swiss dialect of the French language that refers to a small coasting sled. The Innsbruck Games in 1964 were the first to feature the sport. As of 1976, this game has taken place on the same track as the bobsled. Americans weren’t always completely sold on this game, never built an official run for athletes to practice on until the 70s. Although Team USA competed in the event in several Winter Games before this, it wasn’t until 1979 that a United States Luge Association was formed. Since becoming an official part of the Winter Games, two athletes have died during practice luges as part of the Games. Germany is the top contender in luge with 75 medals in all, far outranking other countries: Austria has 19, Italy has 17, and Russia has 9. The bobsleigh (also known as ‘bobsled’ in some countries) is a heavier-duty version of the luge. As both a single-athlete and a team sport, bobsleigh features a large, covered sled with a steering apparatus that can fit up to four athletes. The athletes push the sled from the outside to give it momentum, then hop inside before shooting down a narrow, icy chute at high speeds, steering themselves through the banked and twisting tracks to get the fastest time. Bobsleigh has been part of the Winter Games since 1924, with its first women’s competition held in 2002. The name bobsleigh is said to come from the technique that bobsledders use to increase the speed of the sleigh. They will bob back and forth inside of it to go faster. In the early years of this race, the bobsleigh itself was very heavy, and this was believed to take out the athleticism of the game, so now the sleds are lighter. As of the 2014 Games, the country with the most medals is Switzerland at 31 total. The United States comes in second with 24 total medals, followed closely by Germany with 21 medals. But while Germany may only come in third with their total medal count, 10 of their medals are gold medals – that ranks them even higher than Switzerland, who holds only nine gold medals for bobsleigh. 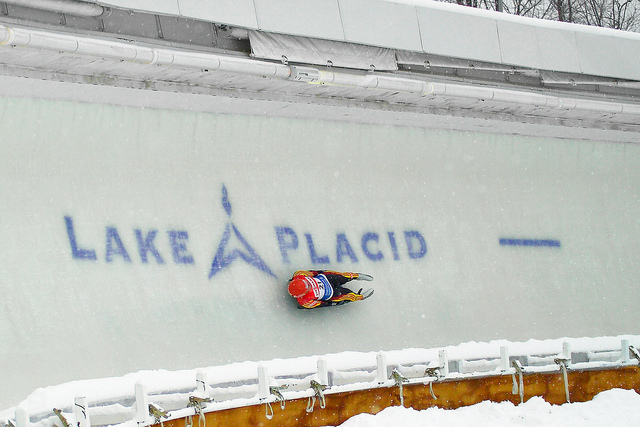 Like luge, this Winter Games sport is not for the faint of heart as it has taken the life of many competitors in fatal accidents during practice runs and training sessions. On the lighter side of this event, you may have heard of Cool Runnings, the Disney movie about the real-life Jamaican bobsled team that competed at the 1988 Alberta Games. Skeleton is everything that is terrifying about luge, but face-first. 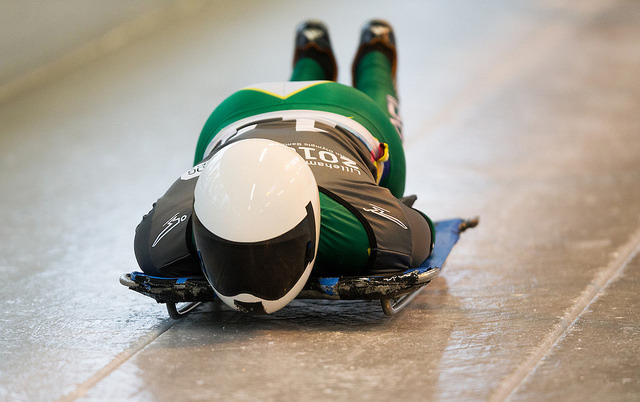 Luge and skeleton are incredibly similar, but the main differences are that 1) skeleton sleds are heavier and thinner and 2) skeleton athletes lay face-first on their stomachs, while luge athletes lay feet-first on their backs. This may sound even scarier than luge, but it is actually considered to be the safer of the two sports. Because the athletes’ heads are at the front of the sled, their reaction time is generally quicker and their muscle control more precise. Skeleton was even replaced by luge at one time during the Winter Games, and it’s not hard to see why considering they are so similar. But the sport has since enjoyed a regular come back since the 2002 Salt Lake City Games. 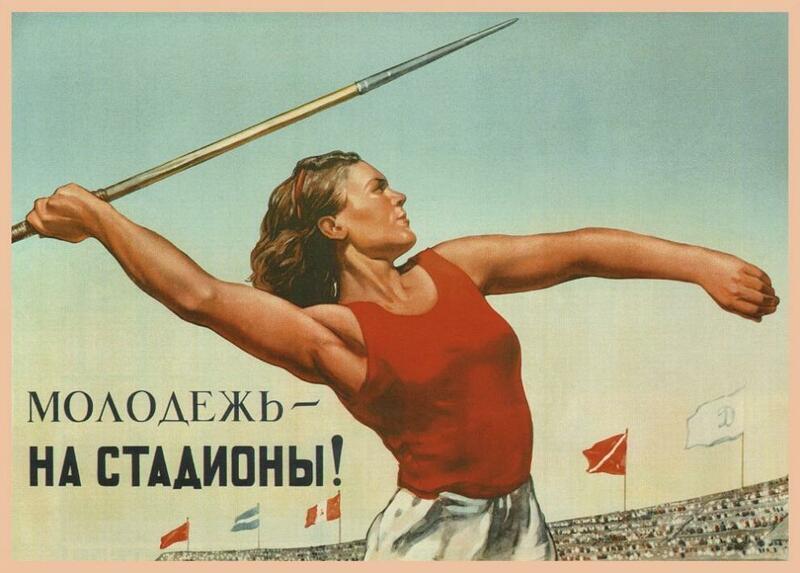 This event is done as both a men’s and women’s event in modern times, but as of yet, there have not been any mixed gender races taking place during the Winter Games. As the Winter Games’ history of this event is rather small, so are the medal counts when compared to the other winter sporting events that have been covered. The United States is in the lead with eight total medals, followed by Great Britain with six and Canada with four. Russia is tied with Switzerland for fourth place with three medals apiece. Nordic Combined is a mash-up of two of the most well-known Winter Games sports: ski jumping and cross-country skiing. 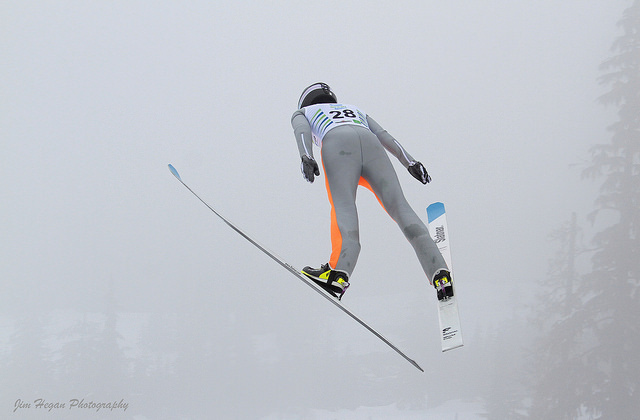 Athletes first perform a ski jump, and their performance determines their starting time in a cross-country ski race that follows. Nordic combined first appeared at the Holmenkollen ski jump competition in 1892 in Oslo, Norway. The event was so popular that even the King of Norway, Olav V, competed in the 1920s during the Holmenkollen Ski Festival. Nordic Combined was first added to the Winter Games in 1924, and has been a part of it ever since. Previously, the race was held first and followed by the jump, but the order was changed after the 1950s. This event is currently only open to men, but women’s teams are assembling for the 2022 Games. It’s not surprising that Norway leads the medal count for this event with 30 total medals. The next closest runners up are Finland and Austria with 14 and 13 medals respectively, and Germany has 9. Can you name a sport that uses brooms? If your answer was Quidditch, you probably aren’t Canadian. 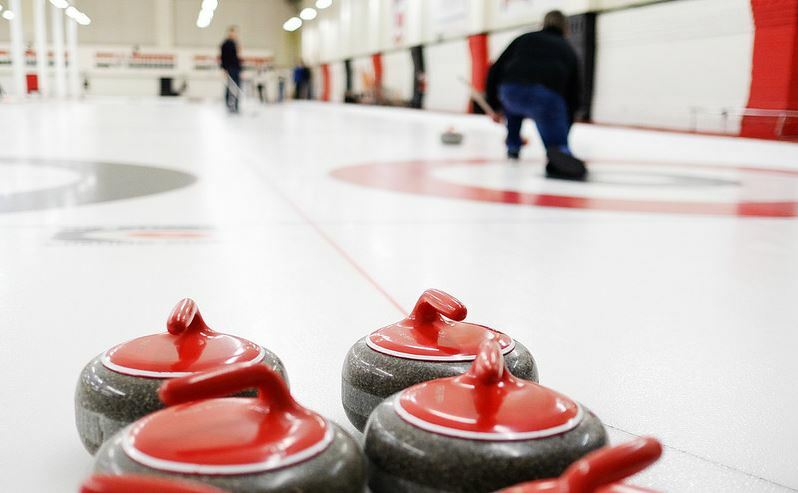 Curling is yet another winter sport that has much of the world scratching their heads every four years. But as silly as it may look to people who’ve never played, curling is actually very grueling and strategic. 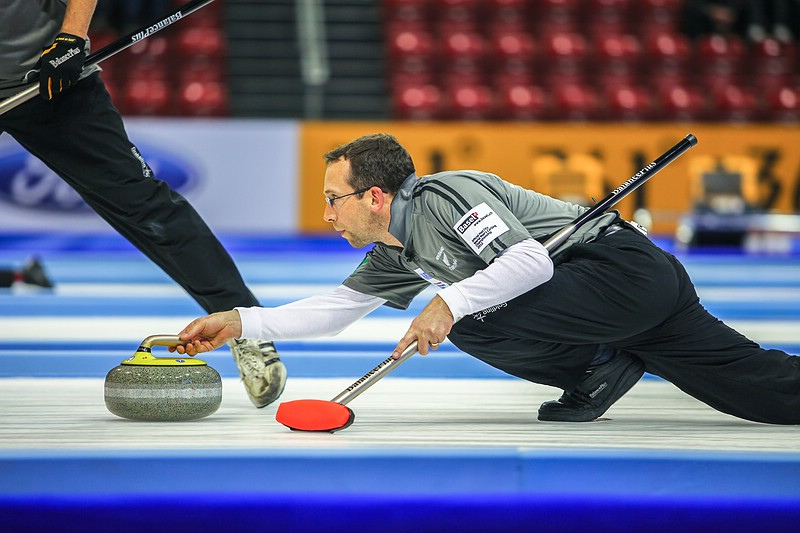 Curling debuted at the Winter Games in Chamonix in 1924, but was only considered a demonstration sport during the 1932, 1988, and 1992 games. The Nagano Games in 1998 was when it was officially added as a part of the program for the Winter Games, featuring both men’s and women’s competitions. A mixed event between the genders was considered briefly back in 2010, but it was rejected. However, there will be a mixed event in the upcoming games. Since it’s short history in the Winter Games, there is only one country with a double digit medal count. That is Canada, with 10 medals. Sweden has seven, with two Swedish teams having won medals in the 1924 games. Switzerland follows next with five medals. 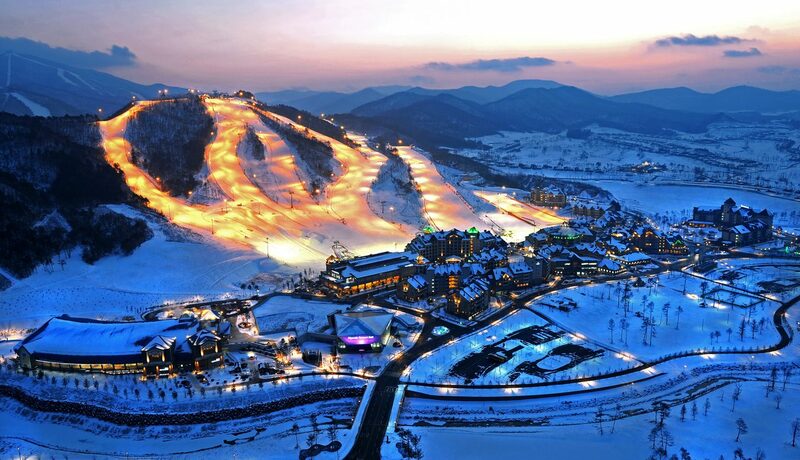 Want to watch the world’s greatest athletes compete in these and other exciting sports in the beautiful resort town of PyeongChang, South Korea? Check out our 2018 Winter Games packages today.